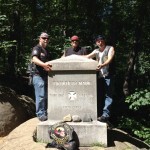 Mr. Paul Witten, Mr. Warren Parker and the rest of their team are members of the Combat Veterans Motorcycle Association. This year, our National convention was being held in Gettysburg Pennsylvania. 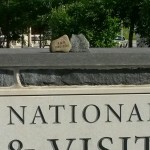 I work at the MEPS where the stones are on display and knew I wanted to carry Larry’s stone with me. 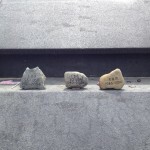 I also asked two of my friends if they wanted to carry a stone each on this trip and they did. 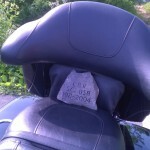 I chose Larry’s stone because we served together in the 3/304th as instructors at West Point. We left on Monday, June 16th, 2014 at about 0530. 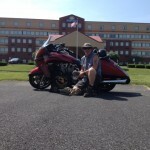 We rode from Maine to Pennsylvania (about a 550 mile trip). 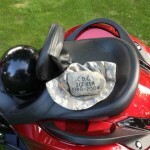 We knew we wanted to hit two very important locations with the stones while we were down there. 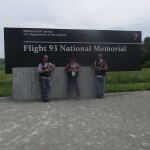 Our group rode to The Flight 93 Memorial. 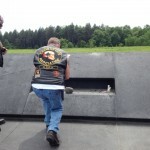 If 9/11 had never happened Larry and our other fallen brothers and sisters would not have been placed into the dangerous situations that resulted in their ultimate sacrifice to our nation’s safety and security. 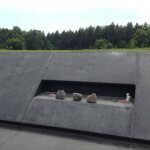 It was a very emotional day for everyone in this sacred place. 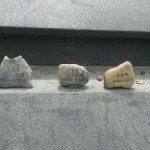 People stopped us regularly to ask about the stones we were carrying around. We always took the opportunity to talk about our precious cargo and what The Summit Project is doing for the fallen from Maine and their families. 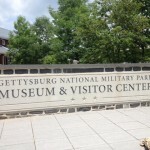 What self-respecting Mainer could go to Gettysburg and not spend a significant amount of time at Little Round Top? 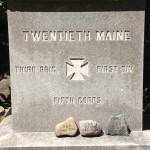 This place is where the 20thMaine Regiment held the Union left flank against an all-out attack. The 20th Maine’s actions that day are considered, by some historians, to be the key point in the Union Army’s defensive line that day. It culminated in a dramatic downhill bayonet charge that is one of the most well-known actions at Gettysburg and in the American Civil War. 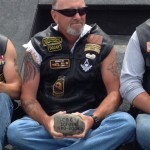 It was an honor sharing this adventure with Larry’s memorial stone. 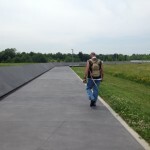 To introduce people to the Summit Project, tell them a bit about a person who gave all for his country and to pass on his story to anyone who asked about the stone and what it symbolized. Rest in Peace Brother and a big thank you to his family for allowing me to share his story with the people we met on this trip.